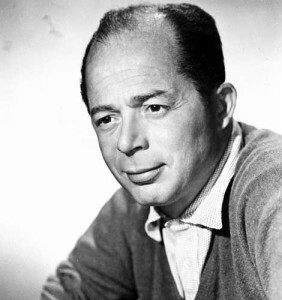 Born as Samuel Wilder. Writer and director. Called ‘Billie’ by his mother, a fan of William Cody, Wilder became a reporter for the yellow press when his father moved his family from rural Galicia to Vienna just before World War I. Following the American band leader Paul Whiteman to Berlin, Wilder worked for seven years as a free journalist for a number of newspapers and as ghostwriter for several film scripts. His first success in the film industry was the collaborative Menschen am Sonntag (1928, with Robert and Curt Siodmak, Edgar G. Ulmer, and Fred Zinnemann). Scripts for Der Mann, der seinen Mörder sucht (1931), Emil und die Detektive (1932) and Ein blonder Traum (1932) followed. One day after the Reichstag fire in February of 1933, Wilder left for France where he directed his first film, the low-budget Mauvaise Graine (1934). Under contract at Paramount as of 1936, he teamed up with Charles Brackett to write a series of highly successful films, including Bluebeard’s Eighth Wife (1938) and Ninotchka (1939) for Ernst Lubitsch, a filmmaker whom Wilder always considered a role model. His US debut as director was The Major and the Minor (1942); already his third feature, the noir Double Indemnity (1944) established him as a major director. In his master piece, Sunset Boulevard (1950), which was nominated for eleven Academy Awards and won three, Wilder offers a harsh look at the star system of the US glamour industry. His films combine comedy and cynicism, without claiming a moral high ground. The Lost Weekend (1957) is a somber investigation of alcoholism, while The Seven Year Itch (1955, with Marilyn Monroe) takes an ironic look at adultery. With A Foreign Affair (1948) Wilder revisits Berlin to show up German and American hypocrisy alike. Also set in a yet undivided Berlin is One, Two, Three (1961), a hilarious spoof on Cold War hysteria.